Porsche is making it easier for people to get behind the wheel of its cars and SUVs without having to make any serious commitments. One, run by Porsche Cars North America, will operate only in the Atlanta area, home to Porsche's North American headquarters. Called Porsche Drive, it launched this week and will offer hourly to weekly rentals of brand-new Porsche cars and SUVs. The other pilot program, available in San Francisco and Los Angeles starting October 8, is operated with the peer-to-peer car rental company Turo. Dozens of customer-owned Porsche cars and SUVs are already available for rent on Turo in those markets. Turo will select the best-rated owners, or "hosts," and those owners will receive special training on their cars and in customer service at Porsche's Experience Center in Los Angeles. "These are people who know a lot about Porsche and are Porsche evangelists," Turo CEO Andre Haddad said. He's one of them. Haddad has his own Porsche 911 listed for rent on the site for $200 a day. Turo will create a page on its website listing all the specially selected Porsche Hosts in one place. Porsche is the fourth-most searched for term on the Turo website, Haddad said. In the case of this pilot program, called Turo Host, the cars won't necessarily be brand-new Porsches. Some could be older or even vintage models. 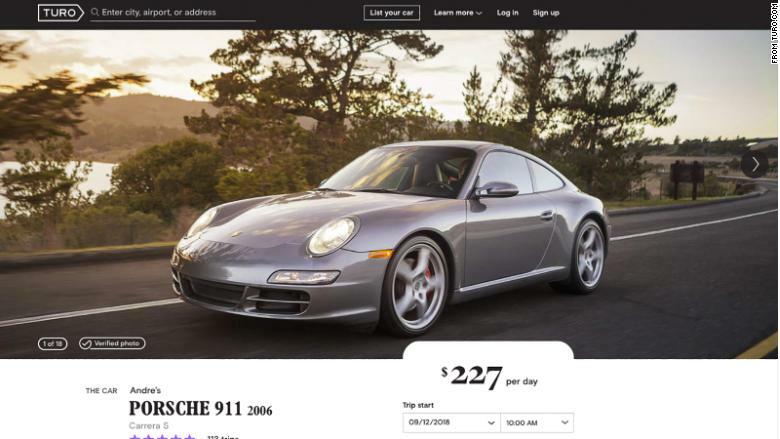 Turo's CEO, Andre Haddad, has his own Porsche 911 listed for rent on Turo. 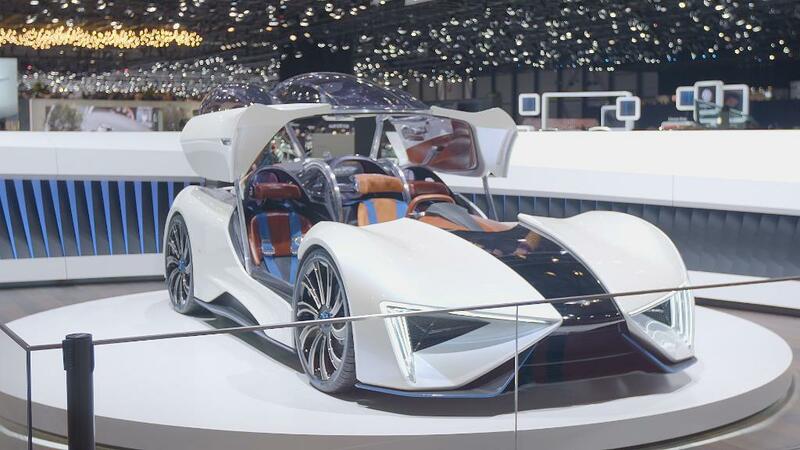 "Our market research shows that consumers want options across a spectrum from access to ownership," Klaus Zellmer, president and CEO of Porsche Cars North America, said in a statement. "The Porsche Drive and Porsche Host pilots are exciting, non-traditional ways to let customers choose how they get behind the wheel of a Porsche." Porsche is also one of several luxury automakers test marketing a "car subscription" service. Customers using the Porsche Passport service, also currently only available in the Atlanta area, pay a few thousand dollars a month which enables them to swap among various Porsche models at any time they like. Those wanting to try a Porsche car for the shortest time possible can visit one of Porsche Experience Centers in Atlanta or Los Angeles and spend 90 minutes driving one on a specially designed test track. Porsche is not the first automaker to get into the business of renting its own cars. For instance, General Motors has its own car-sharing subsidiary called Maven which offers short term rentals, for as little as a few hours, of various GM models including Chevrolets and Cadillacs. Audi operates Silvercar which rents only silver-colored Audi cars. If these Porsche rental programs prove popular one or both of them could be rolled out nationally.